With the award, he becomes the only foreign chef currently working in France to have a Michelin triad. 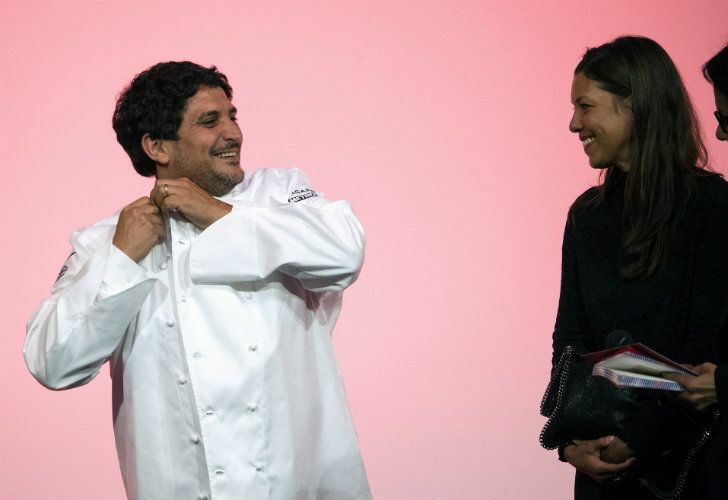 Mauro Colagreco has been recognised formally as one of Argentina’s greatest-ever chefs, after becoming the only local chef to be awarded three Michelin stars. With the award, he becomes the only foreign chef currently working in France to have a Michelin triad. Colagreco was honoured for his work at his restaurant Mirazur in Menton, southern France. He was honoured alongside a number of international chefs at a ceremony launching new French edition of the Michelin food guide, released on on Monday. “So many emotions. Thank you! I’m so honoured,” said the 42-year-old, at the award ceremony. With a spectacular view over the Mediterranean port of Menton in the southeast of France, Mirazur is suspended between the sky and the sea. Colagreco re-opened his restaurant in a contemporary mansion very close to Italy in 2006. It’s been a fixture on the British “50 Best Restaurants” list since 2009. “Today it’s not enough to be good at what you do, you have to be the best, which is not very healthy for me,” Colagreco, born in La Plata with Italian heritage, told AFP in 2015. Mirazur offers cuisine inspired by the surrounding sea and the mountains. Colagreco cooks with mostly fruits and vegetables grown in his garden, where mint, chives, sage, and wormwood, bloom in the shade of the orange trees. Colagreco has forged his own style from his Italo-Argentinian roots and his experiences in France. He’s been taught by chefs like Bernard Loiseau, Alain Passard, and Alain Ducasse, with whom he trained at the Plaza Athena in Paris. “I am an Argentine chef, with Italian roots and a restaurant in France. It is not Argentine cuisine, nor Italian, nor French,” but “Mediterranean, very personal, and influenced by some products from Latin America,” he said in 2015. “Keeping a kitchen up to those standards is a challenge,” she added.